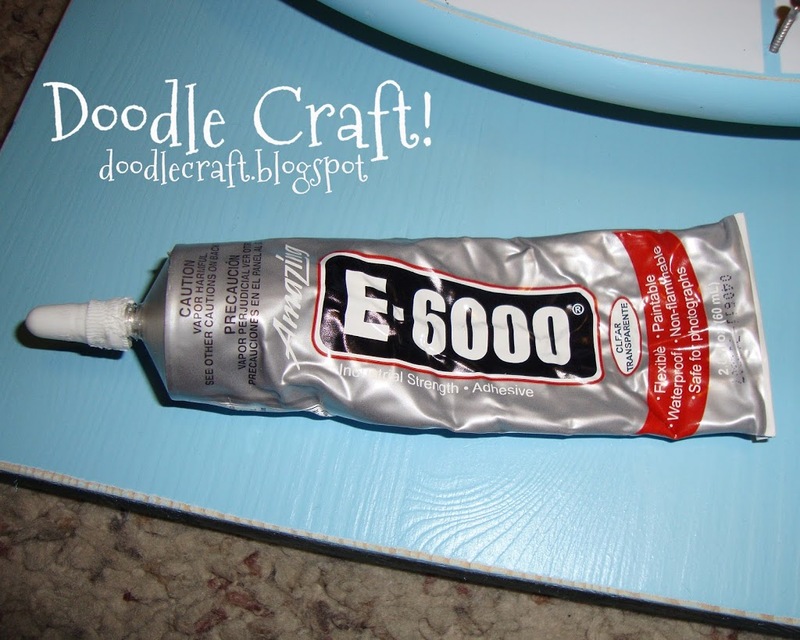 A simple craft that will make you a Rockstar! 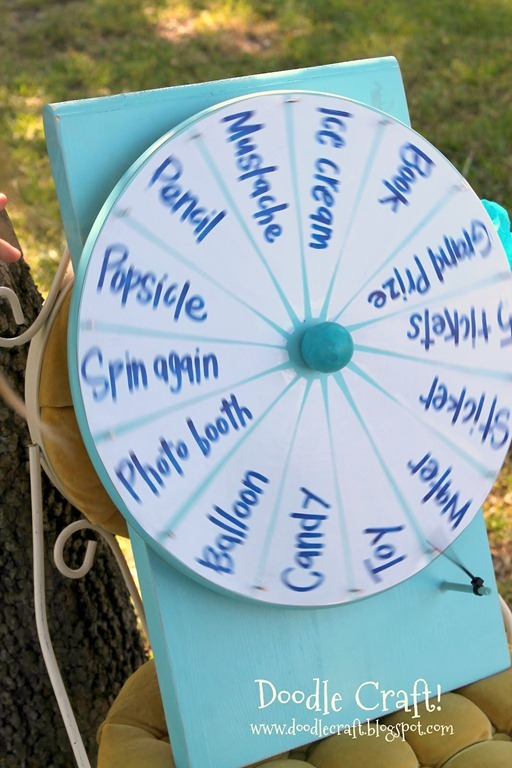 Any kid (or adult for that matter) that has watched The Wheel of Fortune has longed to spin that giant prize wheel. 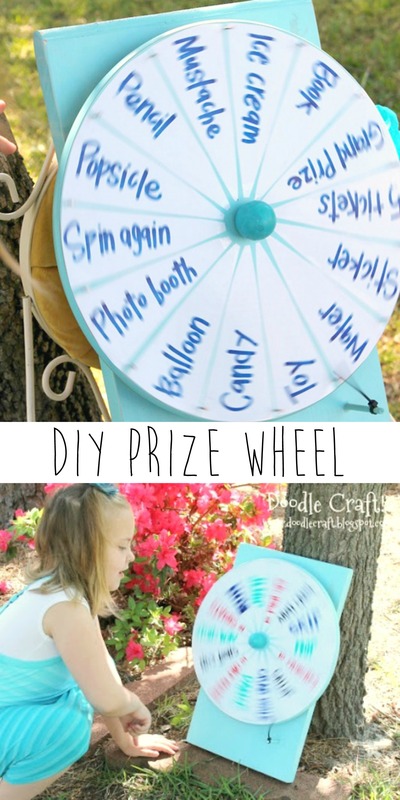 as awesome prize wheels that the kids got to spin…once. I vowed to remedy that. So you’ll need a lazy susan from Ikea ($7.99) and a board slightly larger than the spinner. Okay, on my practice board, I got a step ahead of myself and painted before I drilled in the dowel. Get a drill bit, and a dowel the same size. 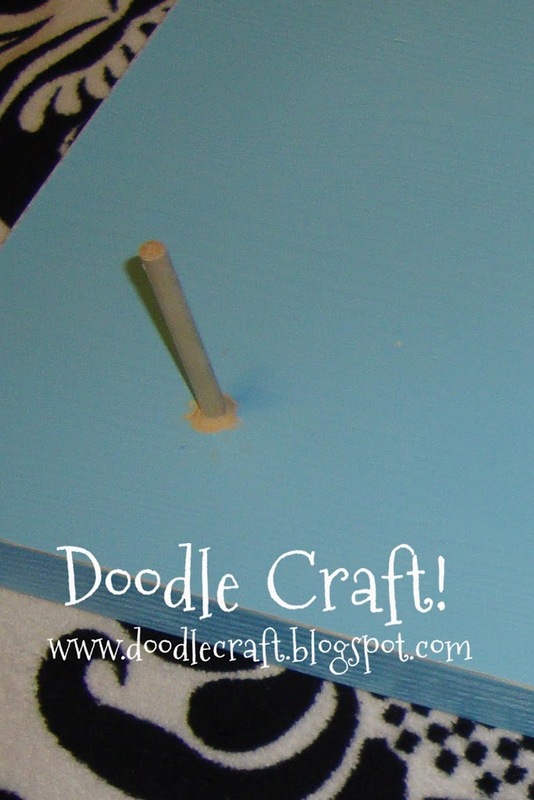 Don’t drill all the way through the board…insert and glue in dowel. I used some wood filler to sort of grout it in place. Then I had to paint again…you’ll only have to paint once! Paint them up any way you like! I just used a light spray primer and then a coat of color! so you don’t have to be so thorough. for the next 6 I made, I used the silhouette and this png triangle. Then peel off the backing and adhere your triangles around the spinner. Note, they don’t line up exactly…but who cares? Next, some tiny nails (1″ long) tapped in between every triangle. 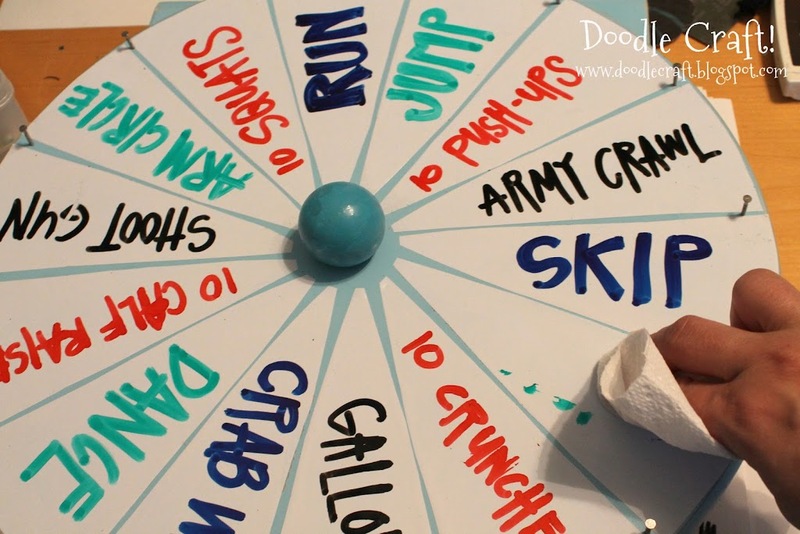 Glue the wheel onto your board with this fab glue…allow it to dry. 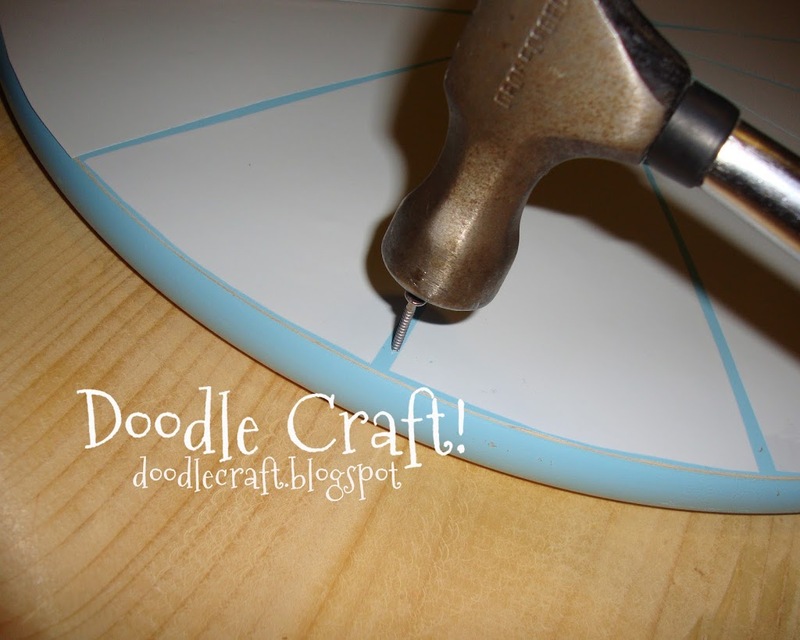 Take a zip tie and scrunch it on the dowel. but it finishes it off nicely. hearts desires onto the triangles! 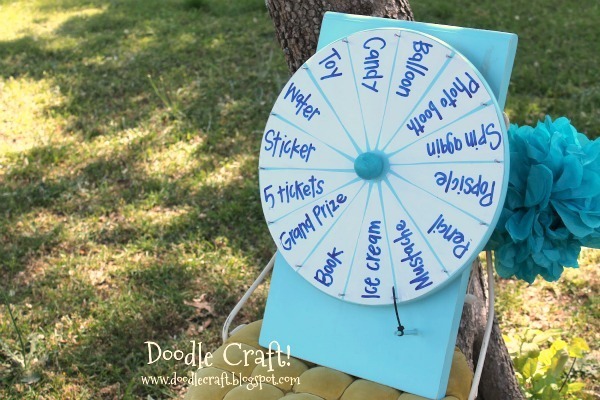 Every event that I’ve taken this wheel, I’ve gotten multiple orders! My kids were thrilled to help out! 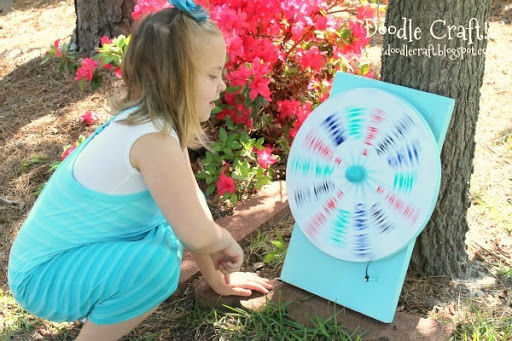 I think they each spun the wheel 100 times! I wipe with a lightly windex spritzed paper towel. replace when they are too worn. If you don’t want to rush to the store to gather supplies right now…you haven’t seen enough pictures! cuz you’re a totally awesome rockstar! 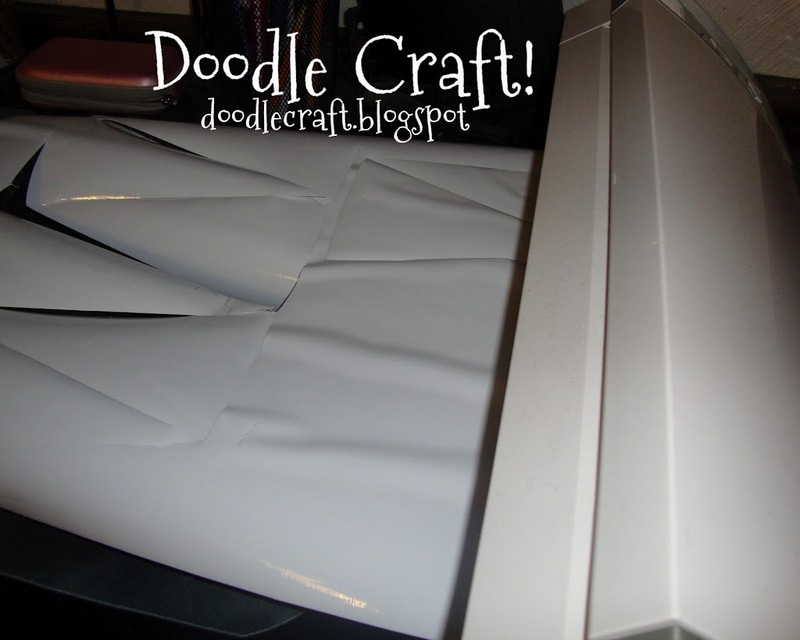 Make sure to stop by Natalie’s blog to see her other party ideas and tutorials at Doodle Craft! Isn’t Natalie amazing!? Can’t believe how simple this is to make!! That is great! I think it would be wonderful for nights at girl guides…. I love this! 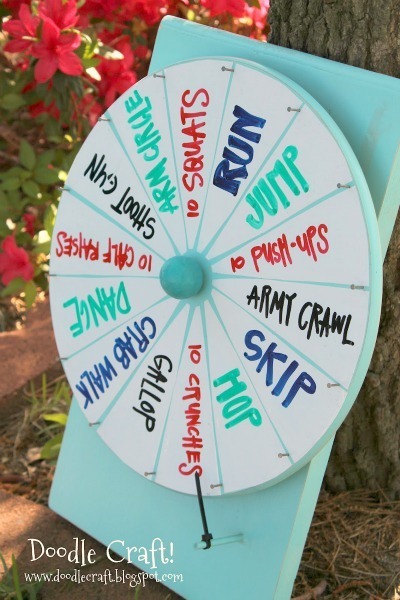 What a great idea to motivate kids…and husbands….and ourselves! 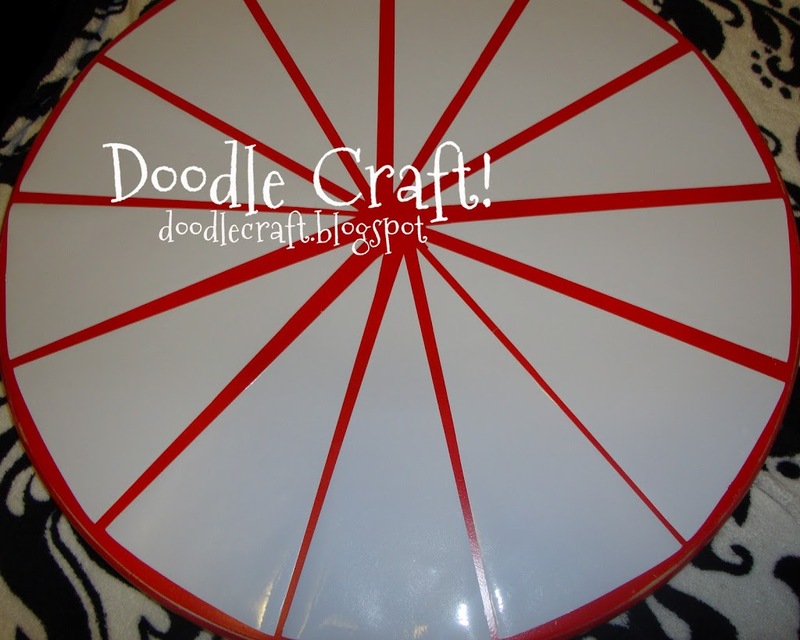 You could even just cut a big circle of the dry erase vinyl to fit the lazy Susan and then divide it into pie slices with strips of thin electrical tape. (I know I would obsess too much trying to line up the individual triangles!). Thanks for the great post and pics! Love this! I needed to make one for some fundraiser events and found you via google. I decided to use chalkboard paint and neon chalk, instead of dry-erase vinyl, and I used thin floral tape to make my lines. The difficulty for me was finding the Lazy Susan. 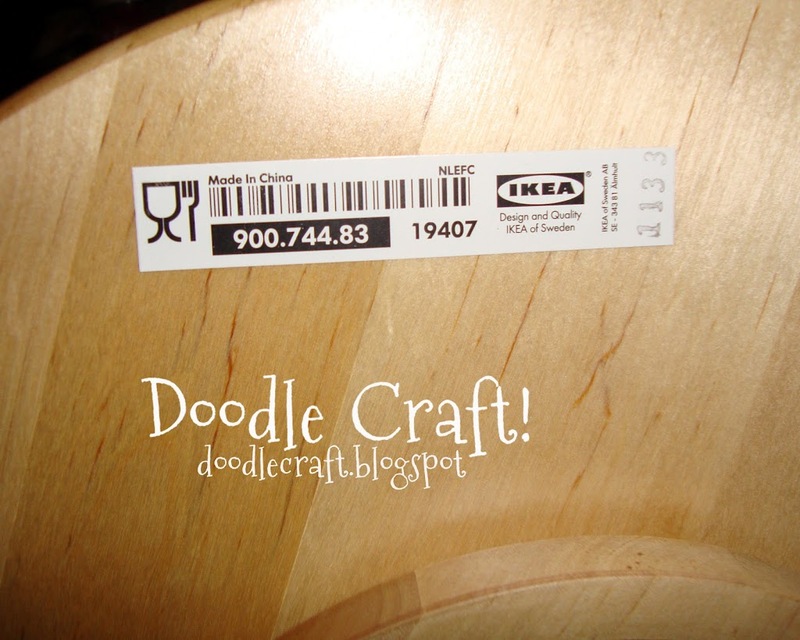 We don’t have an ikea here, and 2 thrift shops didn’t have any, so I bought mine at Walmart. Thanks for the great blog. Made my project much easier to complete! My husband just brought home some self stick dry erase sheets. I was trying to figure out what to make with it!! This is perfect!! I’ll be making these for my nieces and nephews for Christmas. Thanks so much for the idea. oh my goodness! Great idea for the kids! Family reunion here I come. How did you attach the lazy susan to the board? LOL, I see now. When I went back and re-read it I remembered. I am glad that I found your website. 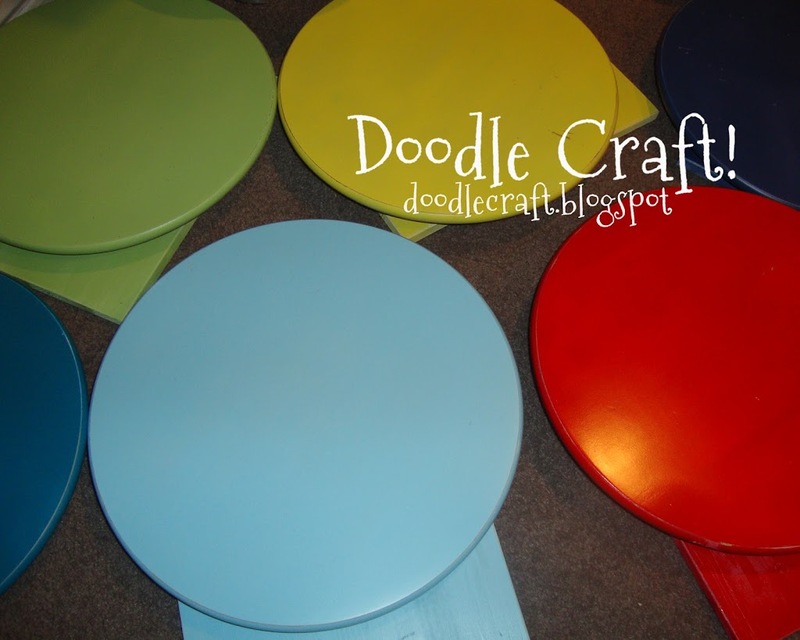 You could add a piece of wood to the bottom back and make it stand up fairly easily. This is such a cool idea. I think I’ll add a hinge on the top and a matching board to the back with a string attaching the bottom front and back pieces to make it stand on its own. Wow, Great Idea! Thank you so much for sharing. 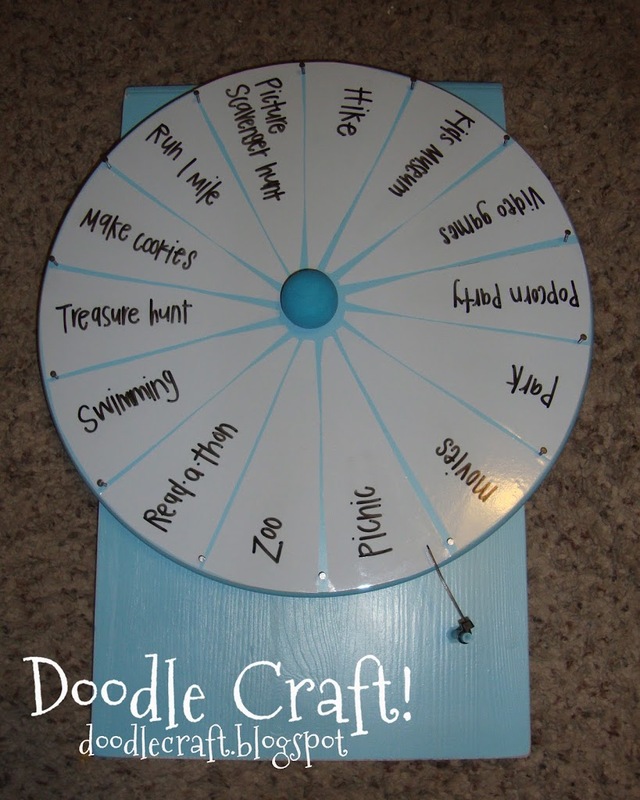 I am definitely going to do this for my classroom. 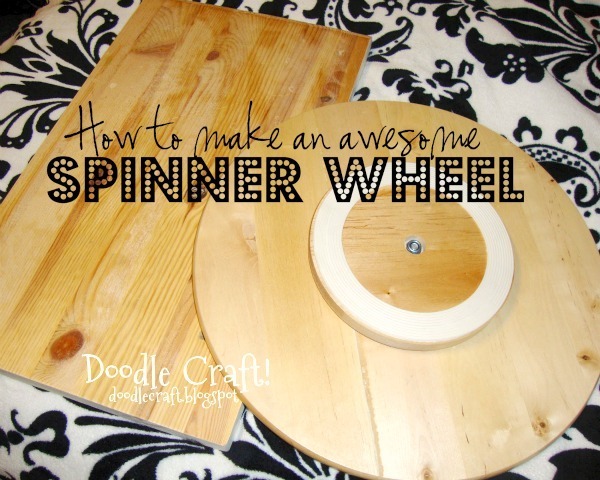 How did you attach the lazy Susan to the piece of wood?